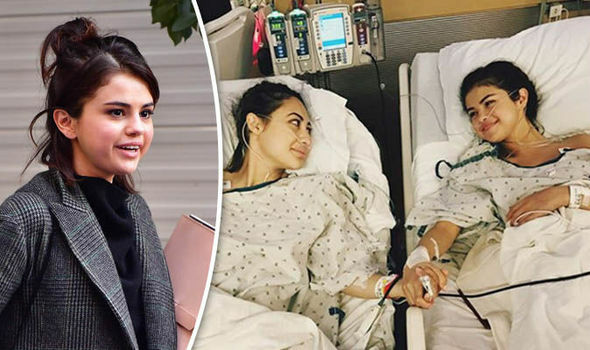 SELENA Gomez has undergone a kidney transplant and has thanked her friend Francia Raisa for donating the organ to her, the "ultimate gift and sacrifice". The US singer and actress explained to her fans that she has been "laying low" throughout the summer because she underwent the major operation due to suffering from autoimmune disease lupus. Two additional pictures showed close-ups of scars on Gomez's lower stomach from the surgery. She wrote: "I'm very aware some of my fans had noticed I was laying low for part of the summer and questioning why I wasn't promoting my new music, which I was extremely proud of. "So I found out I needed to get a kidney transplant due to my Lupus and was recovering. It was what I needed to do for my overall health." Gomez said she is looking forward to sharing with her fans her "journey through these past several months as I have always want to do with you". She thanked her "family and incredible team of doctors" for their work before and after surgery. Gomez added: "And finally, there aren't words to describe how I can possibly thank my beautiful friend Francia Raisa. "She gave me the ultimate gift and sacrifice by donating her kidney to me. I am incredibly blessed. I love you so much sis." Gomez said that lupus "continues to be very misunderstood but progress is being made" and directed her fans to the Lupus Research Alliance website.